Banners.com recently printed some volleyball player photo banners for a volleyball team. They displayed the banners in their gym. 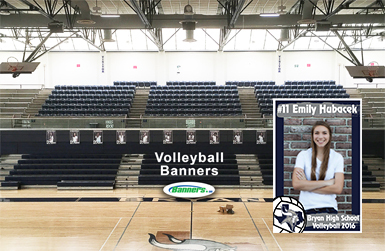 If you need vinyl banners for your volleyball team, visit our volleyball banners page. You can customize a template in our online designer, upload your own artwork files, or work with one of our graphic designers.